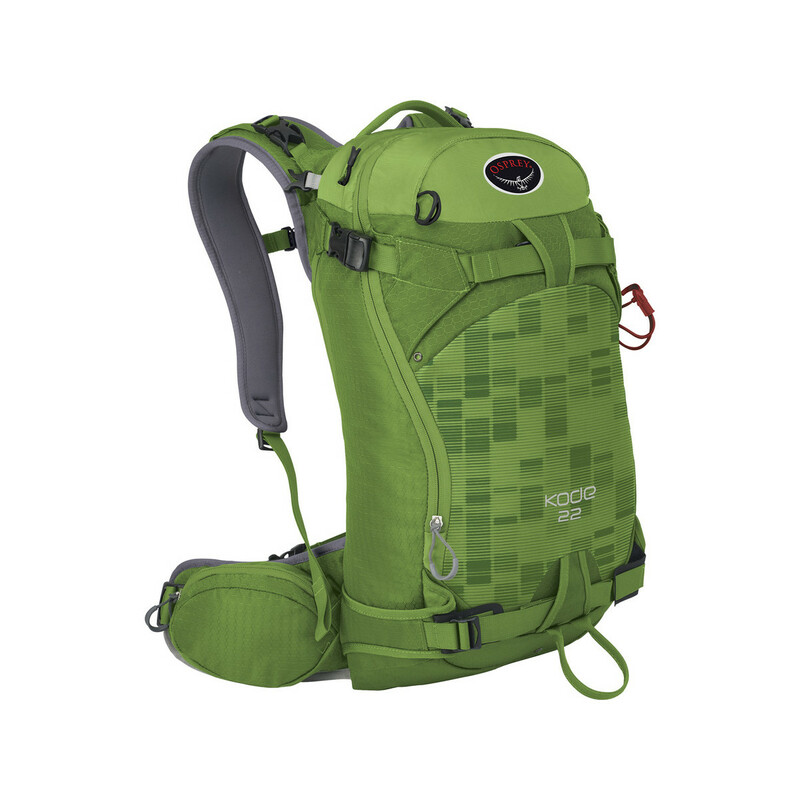 Ideal for all-day backcountry riding, the updated Osprey Kode 32 backpack offers optimal volume, improved access and organization, extreme functionality, and total comfort. EVA foam torso fixed harness provides all-day comfort and features an integrated, insulated reservoir hose sleeve. HDPE framesheet provides maximum support; layered backpanel sheds snow for maximum comfort. Fixed EVA foam hip belt features taped edges, large storage pockets, and ErgoPull closures for quick, easy adjustments. Two ways to carry your skis:~ A-Frame ski carry utilizes wide, ultra-durable lower loops and glove-friendly top buckles~ Diagonal carry utilizes one side of the bottom front panel and the opposite side at the top~ All wear points are reinforced. Two ways to carry your board:~ Dual hypalon-reinforced wings on the front panel provide secure, comfortable vertical carry~ Reinforced hip belt wing provides quick horizontal carry for shorter hikes. Stowable stretch mesh top panel provides convenient helmet storage; top zippered pocket keeps your goggles safe. Quick-access, extended J-zipper with extra large opening provides access to avalanche safety kit pocket with shovel handle and probe sleeves; a third zipper pull allows quick access even if a helmet and skis/board are on the pack. Zippered protective sleeve for a hydration reservoir (with external drain) and zippered interior pocket provide convenient organization. All buckles and zipper pulls are glove friendly. Optimal load range: 15-30 lb. (7-14 kg). 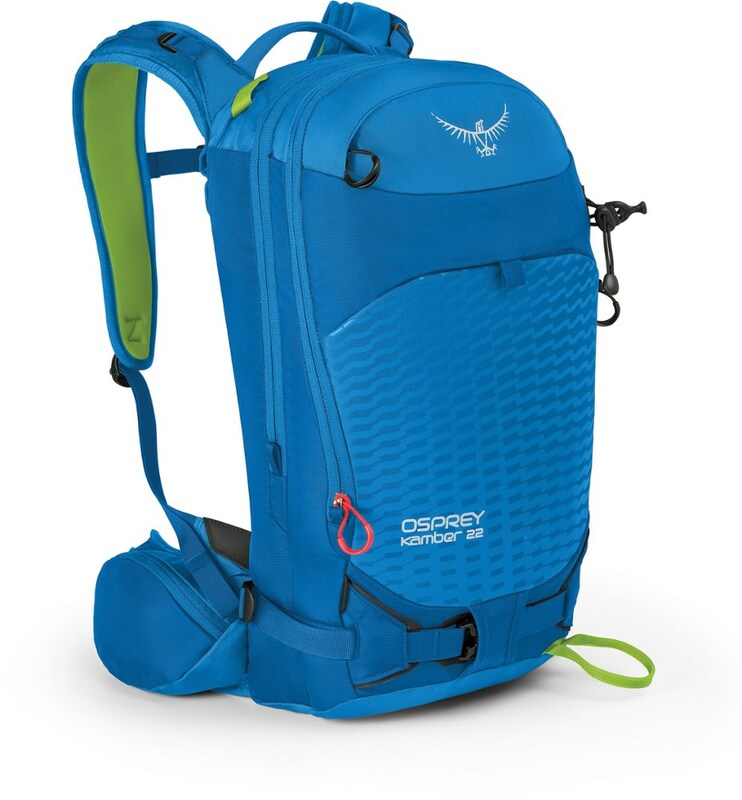 In bounds, out the gate, or full-on backcountry -- the Osprey Kode 32 Backpack doesn't discriminate when it comes to a day out in the snow. 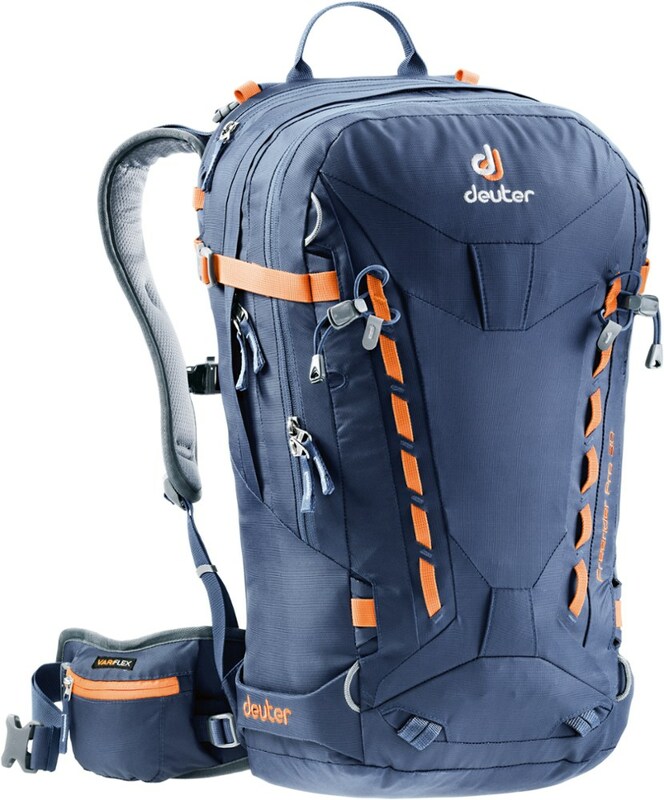 This mid-sized ski pack holds your avy tools and other essential equipment for short tours or shredding the backcountry. 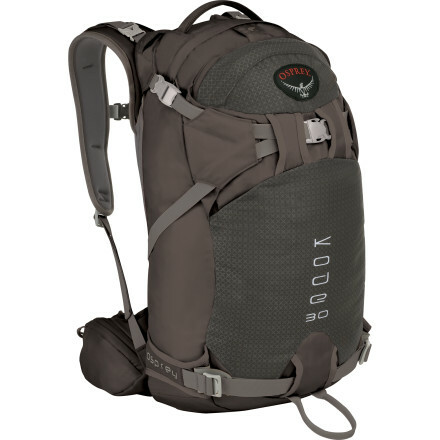 The Osprey Kode 32 was constructed from 420 denier nylon. 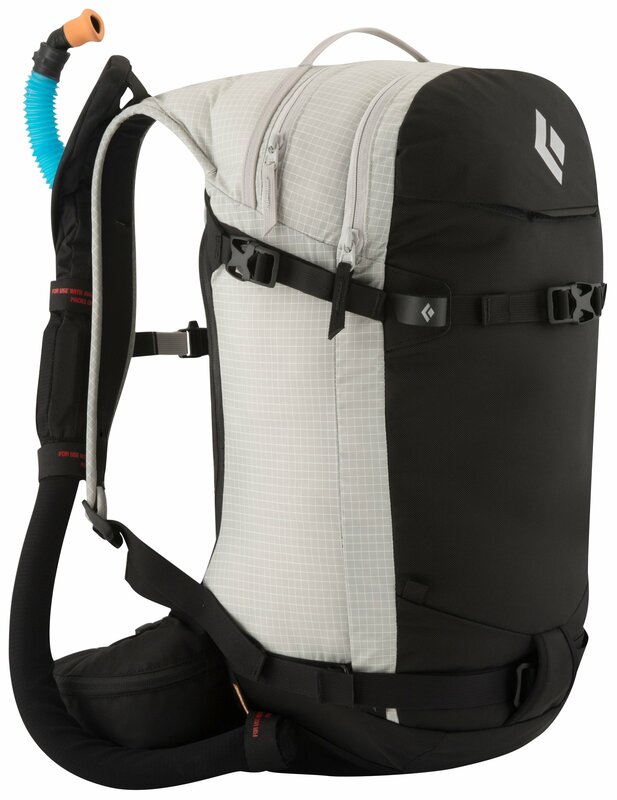 It features an Airscape back panel that allows ventilation between you and the pack. For added comfort, the adjustable shoulder and chest straps have been molded from EVA foam. 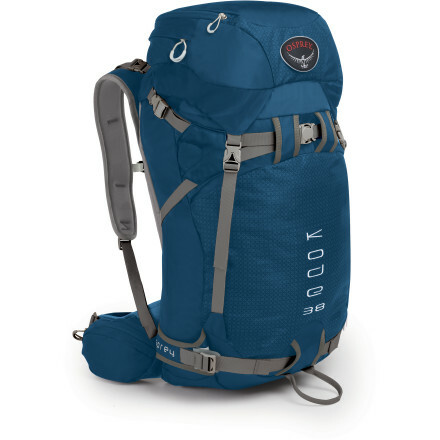 Meanwhile, compression straps and panel loading allow the pack to be configured according to what you need to carry. From ice tools to a snowboard, a dozen different arrangements are possible. Additionally, hip belt pockets allow easy access to your camera or phone. Everything is kept dry with an integrated rain cover. Gear carrying is for naught if you're parched by the time that you reach the peaks. For this reason, an external hydration pocket has been added in order to keep your thirst at bay. Incorporating feedback from backcountry professionals and athletes, the redesigned Osprey Kode 32 snow pack offers logical organization and sharp style for riders seeking off-piste snow play. 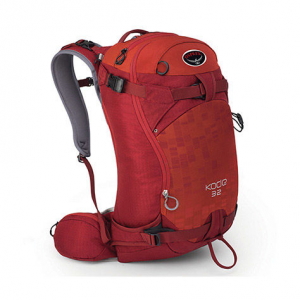 The Osprey Kode 32 is not available from the stores we monitor. It was last seen June 30, 2018	at EMS.